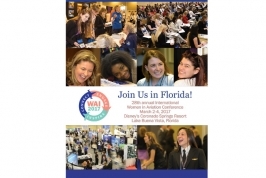 Join us in Orlando March 2-4, 2017 for the 28th annual International Women in Aviation Conference! Women in Aviation International is a nonprofit organization dedicated to the encouragement and advancement of women in all aviation career fields and interests. Our diverse membership includes astronauts, corporate pilots, maintenance technicians, air traffic controllers, business owners, educators, journalists, flight attendants, high school and university students, air show performers, airport managers and many others. We provide year-round resources to assist women in aviation and to encourage young women to consider aviation as a career. WAI also offers educational outreach programs to educators, aviation industry members and young people nationally and internationally. Our most recent initiative is our Girls in Aviation Day program for girls ages 8 to 17. No one knew what to expect at that first conference, but after a weekend of networking, it was clear there was a need for more women in the aviation industry. Soon, the conference became an annual event, and in December 1994, Women in Aviation International was established as a professional, non-profit organization. This year, we mark 28 years of coming together, mentoring, networking, and sharing the trademark positive energy found at our annual conference. Our members make WAI the passionate, dynamic organization it is, and the future is bright. 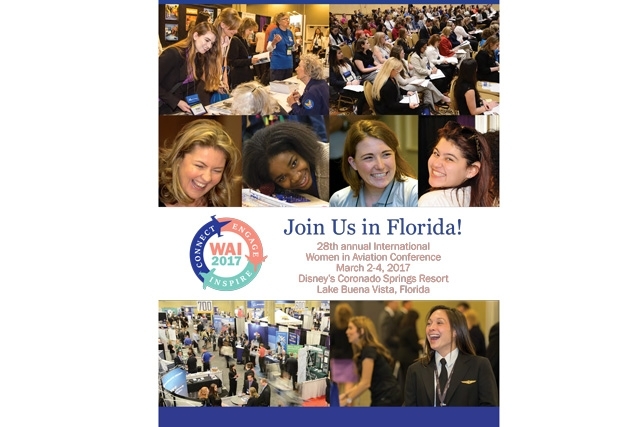 • Nearly 5,000 attendees, including 91 international guests representing 16 countries, joined WAI in Nashville, Tennesee for the 27th annual International Women in Aviation Conference. • The exhibit hall hosted 170 separate companies and organizations representing all aspects of the aviation community. • A total of 126 scholarships were awarded to WAI members at every stage of their career. The $661,234 in scholarships awarded this year put the total of all WAI scholarships awarded since 1995 over $10,000,000.